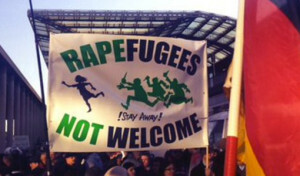 As most people watching the news would have seen, there has been quite a furore over the New Year’s Eve incidents where hundreds of Third World refugees sexually molested women in Cologne, Germany — and, as it turned out, also in a number of other German cities, as well as in several other European countries. A video from Rebel Media, on YouTube, included clips from several media conferences where German politicians discussed the problem. Was their solution to stop the refugee intake, or to finally put an end to all Third World immigration? No, of course not, that would be common sense; or worse — shock, horror — it might even be thought of as ‘racist’ — because, as anyone living under a Politically Correct regime would know, those who want to defend their own people are always called ‘racists’ (unless, of course, they are non-white; in which case, they are described as being ‘proud of their ethnicity’). And the response from the Multiculturalist politicians on the Cologne sexual assaults and rapes? When the police chief of Cologne stated that the attackers were “young men at the scene around the age of 18 to 35 years old, who come from North African and Arab areas” (1.29 min. ), the Mayor of Cologne rushed in to defend the pro-refugee agenda, saying “There is no evidence whatsoever that what we’re dealing with here is people who live in Cologne as refugees” (2.24). Germany’s Justice Minister intoned that “Making this an issue by over-simplifications, and connecting it to the refugee issue is nothing but a misuse of the discussion” (2.57); again, rushing to defend the pro-refugee agenda — because, after all, apparently the Multiculturalists’ anti-Western ideological agenda is much more important than the safety of their country’s women (let alone the survival of their own people, who are struggling against immigration-driven genocide). The Multiculturalists’ agenda is to create what they think would be a ‘multi-racialist paradise’, by destroying the ethnic basis of all white nations, via the mass immigration of millions of Third Worlders into European-majority countries. They don’t care if such immigration brings with it an increase in violent crimes; they don’t care if thousands of white people are bashed, raped, or murdered — so long as they get to push their anti-Western ideological agenda. And if their ‘multi-racialist paradise’ turns out to be a complete hellhole? Well, the current crop of Multiculturalists don’t care about that either — because it will be their descendants who will pay the price, not them. The end-game of Multiculturalism is the genocide of all white nations across the globe. Multiculturalism is a nasty, hate-filled, divisive ideology, which has based itself upon lies, propaganda and threats. Under the anti-free speech laws of Multiculturalism, people are fined or jailed for speaking their opinions in public. 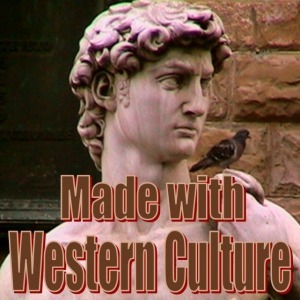 Under various Multiculturalist regimes, anti-Western propaganda is continuously fed to students in universities, high schools, primary schools, and even in kindergartens — in a similar manner to the subtle brainwashing which was carried out in schools under Nazi and Communist regimes. Multiculturalists are also known to lie, half-lie (twisting truths), and cover up evidence which is unfavorable to their cause. They say they just want to be ‘nice’ to Third World refugees and Third World immigrants, but what they really want is the death of the West. Never be fooled by the ‘nice face’ of Multiculturalism, because it is a mask which covers up the genocidal cadaverous reality which lies beneath it — to look into the eyes of Multiculturalism is to look into the eyes of death.